What to do 31 days before your ‘Smart Move’? Get a change of address form from the Post Office for each person receiving mail at your home. Notify any creditors and any subscription services of your new address. Make a request from your doctors and dentists for your family’s medical records. Request copies of any renewable prescriptions. Inform all your local utilities to have your service turned off after your departure. Take readings for your own records and for comparison purposes for a later date. Contact all utilities services at your new home to ensure timely connections. What to do 21 days before your ‘Smart Move’? Sketch out a floor plan of your new home to determine placement of your furnishings. 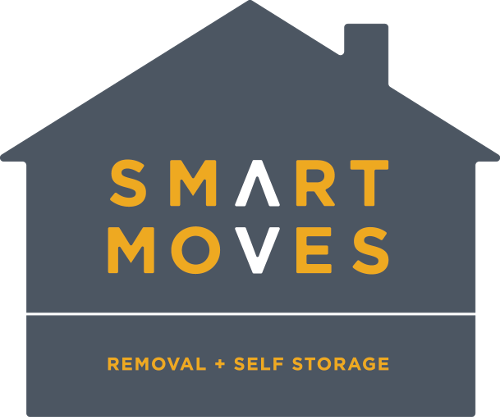 Notify ‘Smart Moves’ if you have changed anything about your move for example; household goods, destination, dates of the move, etc. Transfer contents of any safety deposit boxes/other held. What to do 14 days before your ‘Smart Move’? Safely dispose of any flammables such as petrol, matches, cleaning fluids, bleach, pressurised or aerosol cans. Discontinue all regular services such as newspaper, window cleaning, etc. If moving your TV antenna or satellite dish, decide to have it taken down. What to do 7 days before your ‘Smart Move’? Inform any bank and savings accounts of change of address, so you don’t lose interest. Inform any Internet Provider (Broadband) of your change of address. Doing your own packing, pack these items and set aside in a designated area that you wish to take with you. Use up any frozen food or give it away. Drain any fuel from lawnmowers and other power equipment. What to do 1 day before your ‘Smart Move’? Take this box with you or have ‘Smart Moves’ load it last and unload first. Defrost, thoroughly clean and dry any refrigerator. Be available for when ‘Smart Moves’ arrive and throughout the loading process. (If you can’t be there, make sure someone can to direct the team) We will always introduce you to your main point of contact from ‘Smart Moves’ on arrival at your address for any queries you may have throughout the move. Ensure ‘Smart Moves’ has in writing the name and phone number of the person/s authorised by you to act on your behalf in your absence. Accompany ‘Smart Moves ‘during the inventory. Check on the condition of your goods as they are loaded and record formally any condition or special requirements or instructions. Nearly time to say goodbye. Make a final tour of your old home. Ensure that nothing has been overlooked. Sign and agree the ‘Smart Move’ load document and ensure your new address and phone number are correct. Finally lock all windows and doors and turn off all switches. Please see our ‘Frequently Asked Questions’ section where you should find answers to any questions you might have about your ‘Smart Move’ and of course we will be more than happy to take your call at any time to discuss any concerns you may have. Please fill in the form if you would like us to give you a quotation. Alternatively give us a call anytime Mon-Sat (9.00am – 5.00pm) to see how we can help.